With the goal of eliminating textile waste, we start by rescuing fabrics from fashion company offices and production facilities as well as from damaged garments which would have otherwise gone to landfill or incinerators. Compared to the massive global textile waste problem, the amount of textiles we're diverting from landfill is small, but we passionately strive to prove that designers of any size can and should be a vital part of the circular economy where no materials are wasted. Making things by hand takes time, and we are okay with it. We slowly transform textile scraps into products in our zero-waste process, and as a result we are capturing the highest possible value of the raw material. By being zero-waste, we are preventing even more materials from heading to our endlessly-growing landfills or endlessly-burning incinerators. No two of our products are exactly the same! Since we work with a variety of fabric scraps from a variety of sources, our designs each have their own unique combination of colors, textures, and geometry. Sustainability doesn't have to be boring — Our vision of a sustainable future is one of abundance and variety. Amidst our throw-away culture these days, we strive to design products with intention and purpose. 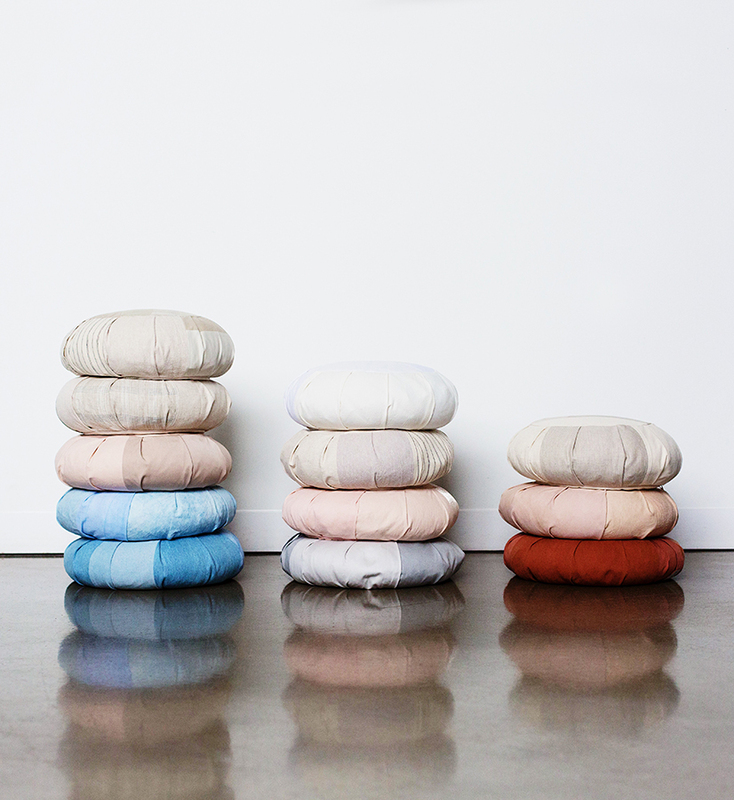 Our meditation cushions look pretty good, but what's even more important is how you use them. We experience the benefits of a meditation and mindfulness practice, and we want to inspire people to grow their established practice or give it a try if you haven't before! We source our scraps mostly from small local designers in the Twin Cities area. 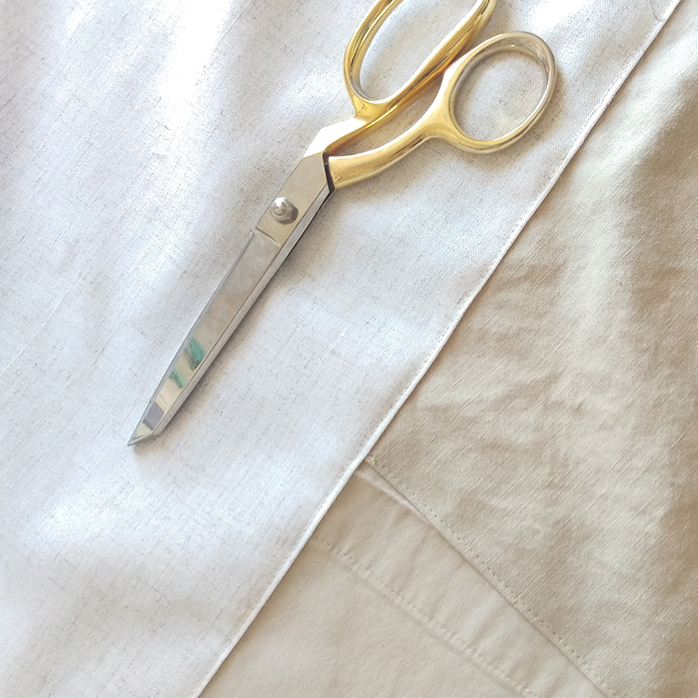 Our sewing is a collaboration between our studio in Minneapolis and contract stitchers in St. Paul. Collaborating with and supporting our local manufacturing community is essential to creating a sustainable system of localized manufacturing. Plus it helps reduce transportation impacts and helps ensure less fabrics are going to waste in our area. We believe in real products for real people with real stories. True transparency and honestly are radical acts these days. We strive to tell the stories of our company (the many ups and downs along the way), our stakeholders, and our customers. Our lives are not sugar-coated and the images and stories we present to you are not going to be either. We believe in giving back to our community. A portion of our revenue goes to local initiatives going good in the world.